Successfully saved 15-Minute Sheet Pan Beef and Broccoli to your Calendar. You can also save the ingredients to your Grocery List. 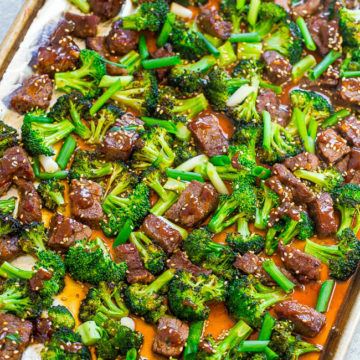 15-Minute Sheet Pan Beef and Broccoli – EASY, HEALTHIER than going out for Chinese because it’s baked, and FASTER than calling for takeout!! So much FLAVOR in this family favorite! It’ll go into your regular rotation! !